Orthopaedic There are 21 products. 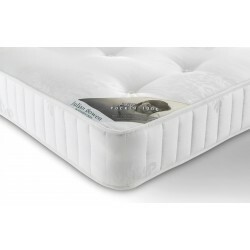 The Shire Latex 1000 Pocket Mattress with 1000 pocket springs and 20mm of latex, the Shire Latex 1000 Pocket Mattress provides excellent support and pressure relief so that you can enjoy a great night's sleep. A soft Belgian damask fabric and supportive fillings complete this excellent mattress. The Shire Latex 2000 Pocket Mattress with 2000 pocket springs and 20mm of latex, the Shire Latex 2000 Pocket Mattress provides excellent support and pressure relief so that you can enjoy a great night's sleep. A soft Belgian damask fabric and supportive fillings complete this excellent mattress. The Rambrandt mattress is a 1000 Pocket Sprung System with Polyester and Natural Fibre Fillings Encased in Organic Cotton Stretch-Knit Panels which are Hand Tufted with a Contrasting Cotton 2 Tack Interlinked Border. Visco Royal Orthopedic Mattress is High Density Memory Orthopedic Mattress, Hand Tufted, Side Vents and Handle. Finished in Modern High Quality Stretch Fabric. 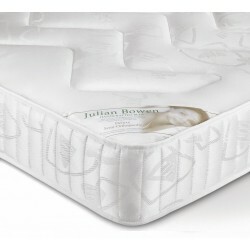 This Memory Touch Orthopedic Mattress hypoallergenic filled sleep system has been hand tufted for support and comfort. Exceptional value for money, with an expensive look and feel. Medium feel. 9" deep luxury Orthopedic sleep system.